Outstanding training being offered by professionals in the industry! Are you ready for AppSec EU 2018??? 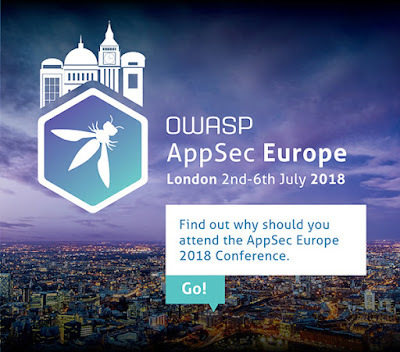 AppSec EU is one month away! Are you ready? Getting ready is easy - visit the AppSec EU 2018 website to register, plan your hotel and book your travel. 1. Register for the event at AppSec EU website. Check out the schedule of great training programs, exceptional keynotes, and seminar topics. AppSec EU will offer attendees an experience that will enhance your learning, networking and overall understanding of Application Security Issues. Register Now! 2. Book your hotel. It's only a month away and the AppSec EU Hotel Map page shows the best hotel choices at the best rates. Don't delay in booking your room, book in advance and benefit from the best pricing. 3. Plan your travel. 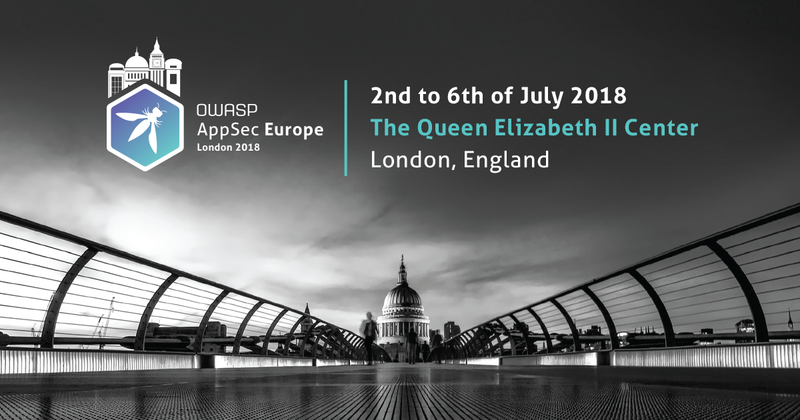 The AppSec EU 2018 Travel page provides you with many options to get to the QEII. If you are coming from central Europe, you can take a plane, train or car; it's easy to get to London! Traveling in from outside of central Europe, not a problem, there are many airports to choose from to arrive into the UK from the United States, Middle East or other regions outside of central Europe. 4. Want to Volunteer? Awesome! We need good volunteers ready to help make the conference experience a great one! The AppSec EU website allows you to register as a volunteer as well. Join us at AppSec EU 2018!